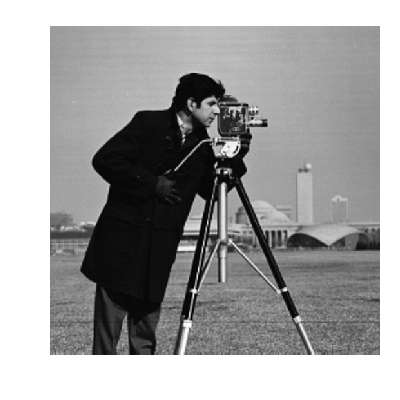 For basic image manipulation, such as image cropping or simple filtering, a large number of simple operations can be realized with NumPy and SciPy only. 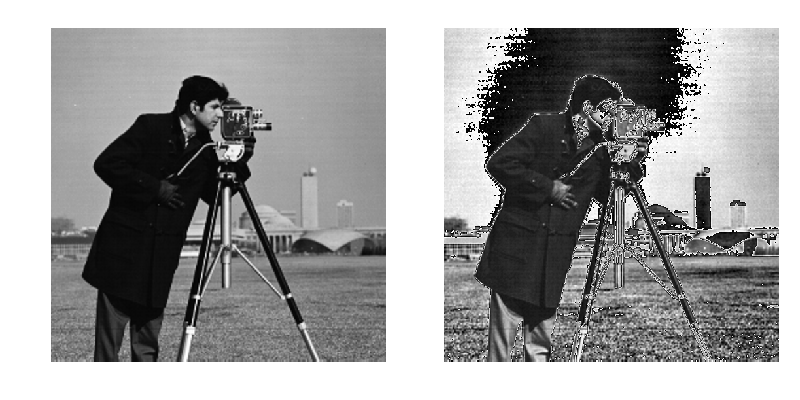 See Image manipulation and processing using Numpy and Scipy. Note that you should be familiar with the content of the previous chapter before reading the current one, as basic operations such as masking and labeling are a prerequisite. Recent versions of scikit-image is packaged in most Scientific Python distributions, such as Anaconda or Enthought Canopy. It is also packaged for Ubuntu/Debian. (but they are less Pythonic and NumPy friendly, to a variable extent). Different kinds of functions, from boilerplate utility functions to high-level recent algorithms. 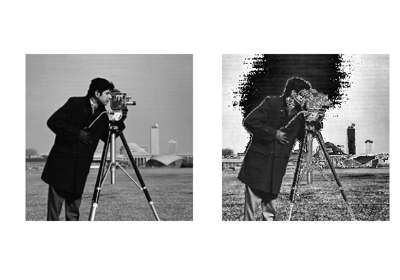 Filters: functions transforming images into other images. 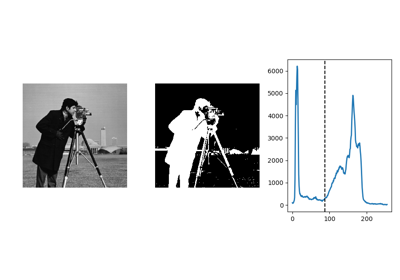 Data reduction functions: computation of image histogram, position of local maxima, of corners, etc. Other actions: I/O, visualization, etc. Works with all data formats supported by the Python Imaging Library (or any other I/O plugin provided to imread with the plugin keyword argument). 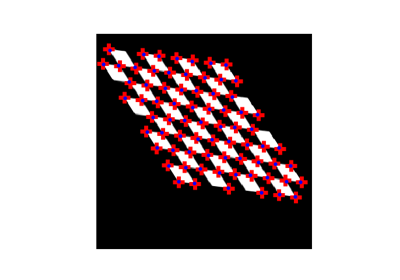 Image ndarrays can be represented either by integers (signed or unsigned) or floats. 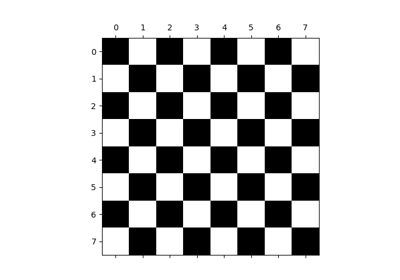 Different integer sizes are possible: 8-, 16- or 32-bytes, signed or unsigned. Utility functions are provided in skimage to convert both the dtype and the data range, following skimage’s conventions: util.img_as_float, util.img_as_ubyte, etc. Routines converting between different colorspaces (RGB, HSV, LAB etc.) are available in skimage.color : color.rgb2hsv, color.lab2rgb, etc. Check the docstring for the expected dtype (and data range) of input images. Most functions of skimage can take 3D images as input arguments. Check the docstring to know if a function can be used on 3D images (for example MRI or CT images). Open a color image on your disk as a NumPy array. 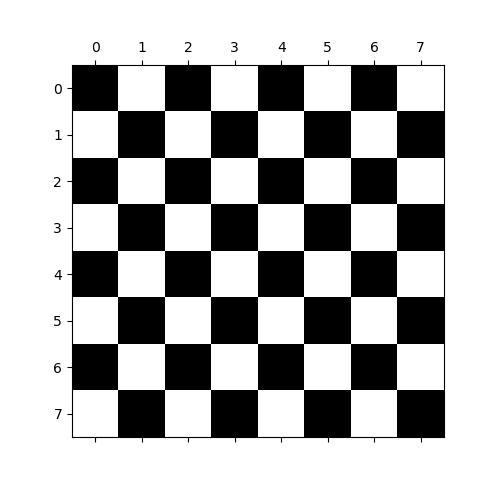 Convert the image to grayscale and plot its histogram. 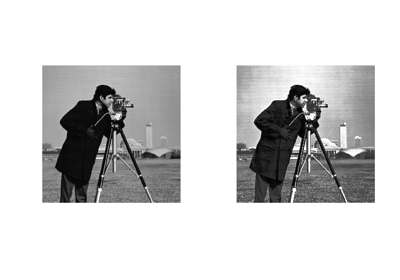 Local filters replace the value of pixels by a function of the values of neighboring pixels. The function can be linear or non-linear. Enhances contrast in large almost uniform regions. 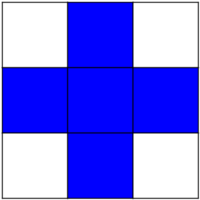 See wikipedia for an introduction on mathematical morphology. Opening removes small objects and smoothes corners. 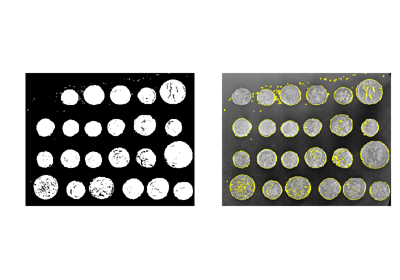 Mathematical morphology operations are also available for (non-binary) grayscale images (int or float type). Erosion and dilation correspond to minimum (resp. maximum) filters. 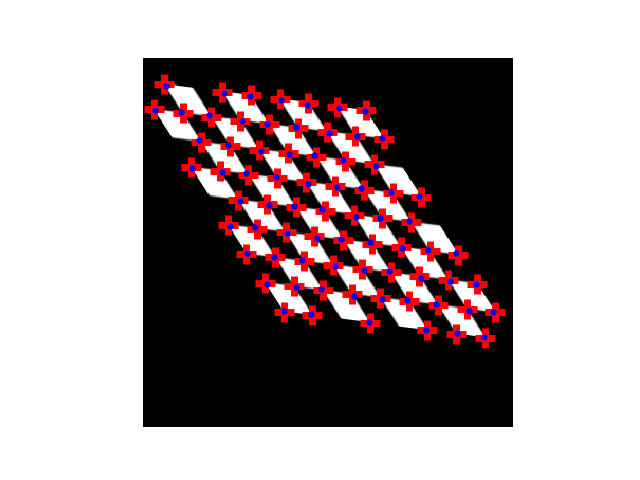 Higher-level mathematical morphology are available: tophat, skeletonization, etc. Basic mathematical morphology is also implemented in scipy.ndimage.morphology. 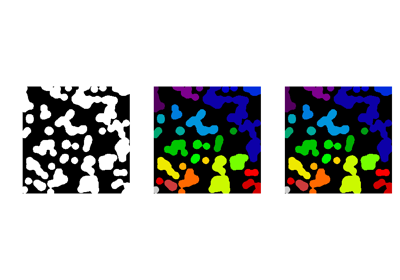 The scipy.ndimage implementation works on arbitrary-dimensional arrays. 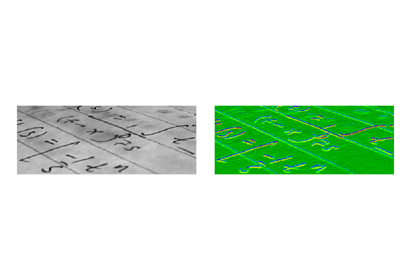 Image segmentation is the attribution of different labels to different regions of the image, for example in order to extract the pixels of an object of interest. 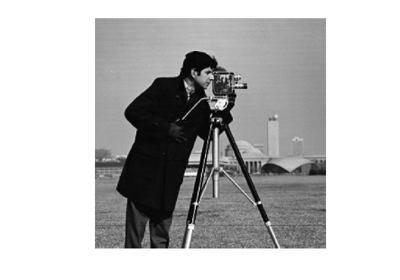 The Otsu method is a simple heuristic to find a threshold to separate the foreground from the background. Once you have separated foreground objects, it is use to separate them from each other. For this, we can assign a different integer labels to each one. scipy.ndimage.find_objects() is useful to return slices on object in an image. If you have markers inside a set of regions, you can use these to segment the regions. skimage provides several utility functions that can be used on label images (ie images where different discrete values identify different regions). Functions names are often self-explaining: skimage.segmentation.clear_border(), skimage.segmentation.relabel_from_one(), skimage.morphology.remove_small_objects(), etc. Load the coins image from the data submodule. 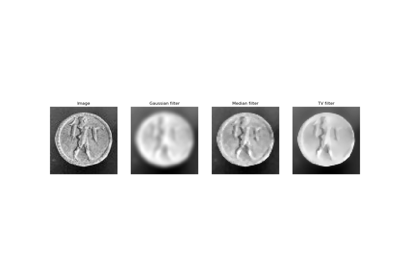 Separate the coins from the background by testing several segmentation methods: Otsu thresholding, adaptive thresholding, and watershed or random walker segmentation. 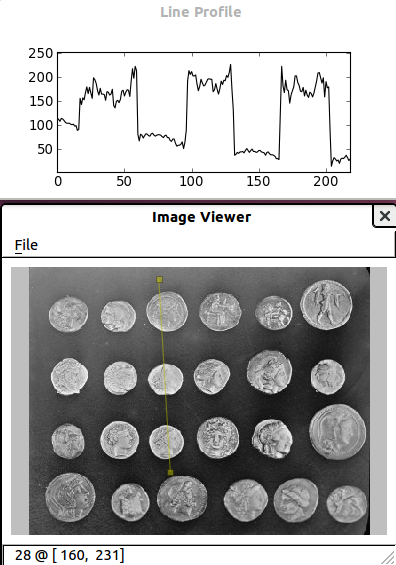 If necessary, use a postprocessing function to improve the coins / background segmentation. for some properties, functions are available as well in scipy.ndimage.measurements with a different API (a list is returned). Use the binary image of the coins and background from the previous exercise. Compute an image of labels for the different coins. Compute the size and eccentricity of all coins. Meaningful visualizations are useful when testing a given processing pipeline. Useful for displaying pixel values. 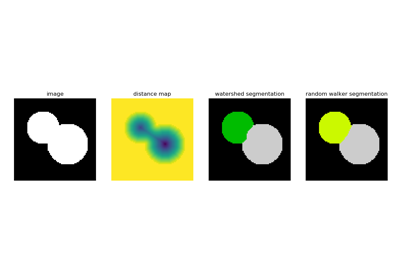 Points of interest such as corners can then be used to match objects in different images, as described in the plot_matching example of scikit-image.